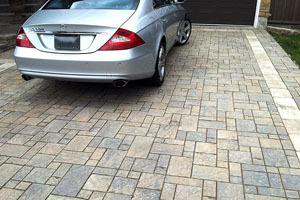 Apex Concrete was founded in 2010 by Emad Sleiman to provide landscaping and concrete services to Calgary and the surrounding area. We’re homeowners too and we understand how important your property is to you. That’s why we deliver high-quality results and stay within your budget, each and every time. At Apex, we don’t set out to be a jack of all trades. 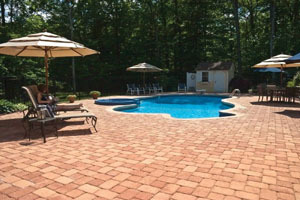 We specialize in three areas: Concrete, interlocking stone, and sprinkler systems. 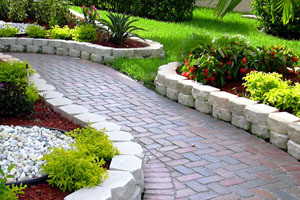 When it comes to landscaping, we understand that mistakes are costly. Our experienced team of professionals will walk you through every step of the process. From the initial design, to choosing the right materials, to the final execution, our team is with you every step of the way. 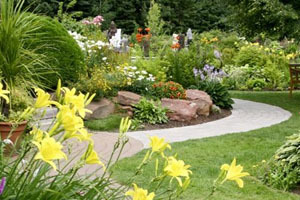 Our goal is to minimize surprises and to transform your yard to look its best. At Apex Concrete, we’re insured up to $5 million. We work with the best suppliers in Calgary like Bluegrass Nurseries, and our company has an A+ rating with the Better Business Bureau. We work to maintain our high rating by following through with our projects. With Apex, you’ll never have to wonder what is happening with your project. We keep you updated and informed on your project progress and we don’t stop until the job is done. We’re committed to ensuring that you’re happy with the results you see. At Apex, we understand how it feels when a landscaping contractor doesn’t clean up after their project. Not only should it look as good as it did when we arrived, but it should look better! Our team will ensure that your property will look better than when we arrived. Because of our commitment to quality and our attention to detail, the only thing you’ll need to do after we leave is enjoy your new space. We’ve registered with Air Miles so that you can earn miles just for hiring us! Although you might not want to leave your backyard once we’ve transformed it!